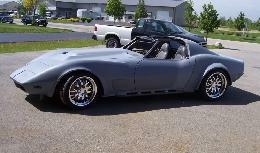 Corvette body or street rod, and create a killer handling, head turner that's a pleasure to drive. 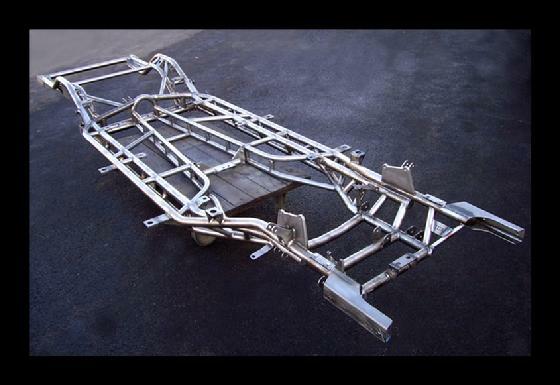 We can design and custom fabricate a chassis for most applications. 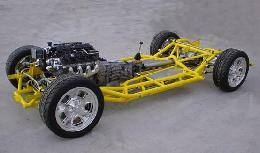 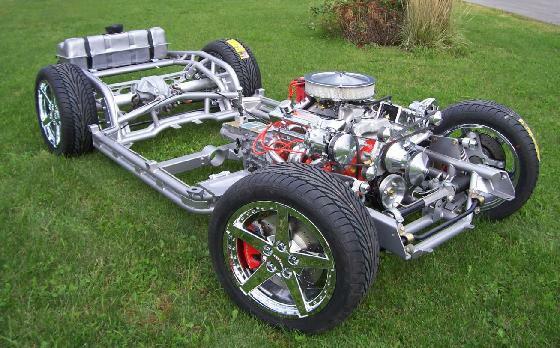 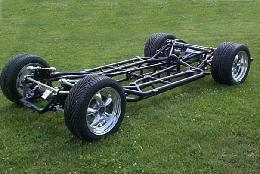 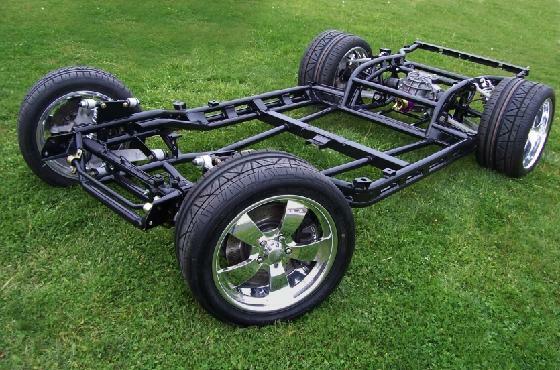 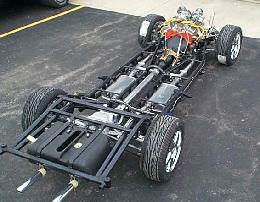 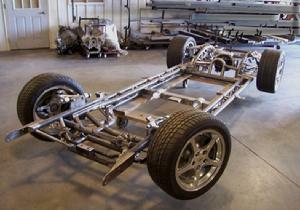 Shown is a street rod rolling chassis with C5 Corvette front and C4 rear suspension. 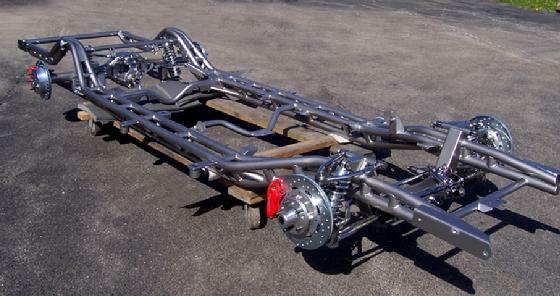 All C5 and C6 also available. 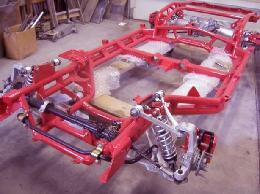 '58 LS1 and 6sp. 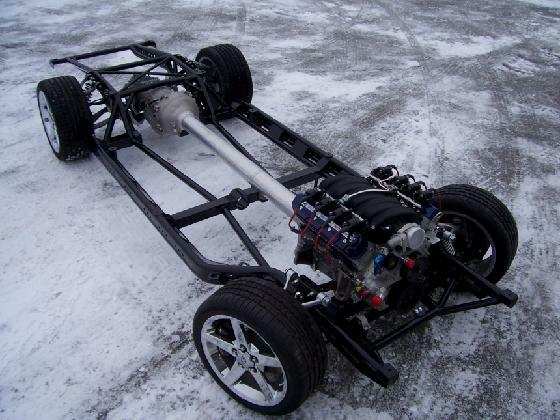 from "Street&Performance"